The Quietus | News | Final Names Announced For Le Guess Who? Final Names Announced For Le Guess Who? Presentation of Alice Coltrane's spiritual music from the 1980s part of the final line-up announcement for this year's Le Guess Who? 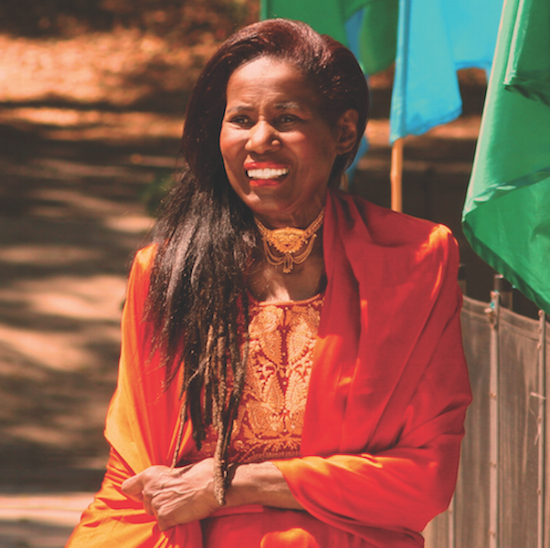 The Ecstatic Music of Alice Coltrane Turiyasangitananda, a collection of the spiritual songs Alice Coltrane penned during her years living in a Los Angeles commune, will be performed by the Sai Anantam Ashram Singers as part of this year's Le Guess Who? Their performance follows the release of those songs that Coltrane recorded during the final decades of her life via Luaka Bop earlier this year, with the appearance forming part of the final line-up announcement for this year's Le Guess Who? Canadian singer-songwriter Mary Margaret O’Hara will make a rare live appearance as part of Perfume Genius' curated programme, while Thurston Moore Group, Sevdaliza, Avey Tare, Sudan Archives, Kevin Morby, John Maus, Moon Duo, METZ, Black Lips, Insecure Men, Dälek, Stella Chiweshe, Essai pas, Luka Productions, Farai, Love Theme, Jesca Hoop, Juana Molina and K Á R Y Y N all round out the line-up. They're all part of an extensive bill that takes in curated programmes from Perfume Genius, James Holden, Grouper, Shabazz Palaces, Han Bennink and Jerusalem In My Heart, plus the likes of Pharaoh Sanders, GAS, Jenny Hval, Ben Frost and lots more. Le Guess Who? takes place in Utrecht from November 9-12. For the full line-up and to get tickets, head here.